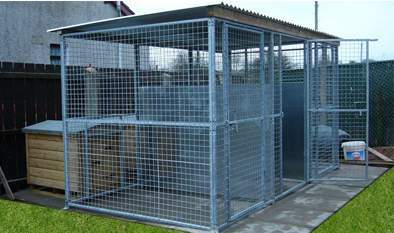 Kennel Runs - Products - Kennel Runs, Dog Runs, Aviaries, Car Cages, Miscellaneous. 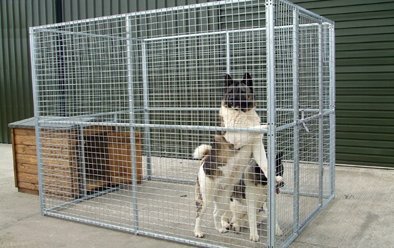 Japanese Akitas in one of our kennel runs. 12ft. x 6ft. 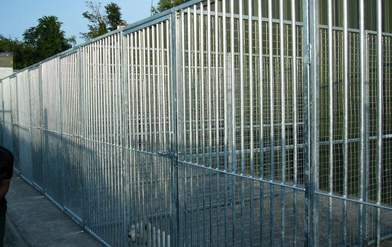 weld mesh pen with void for attaching a kennel to. 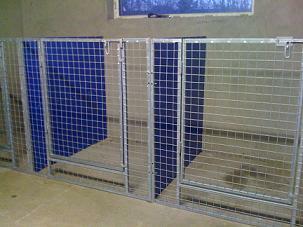 This optimises kennel run space. 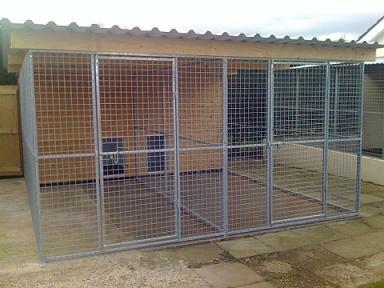 Here is a sample of multiple kennel runs with half galvanised sheeting. 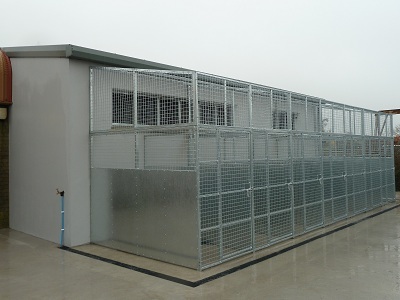 Here is a sample of multiple kennel runs attached to a building. 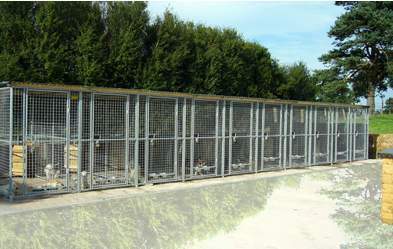 Large Kennel run with internal runs. 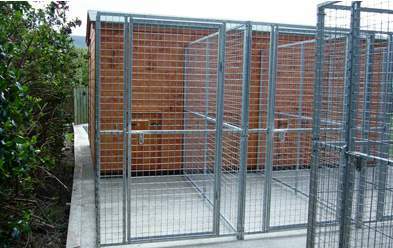 This kennel run has been made with a large area run and internal small runs for rest and feeding. 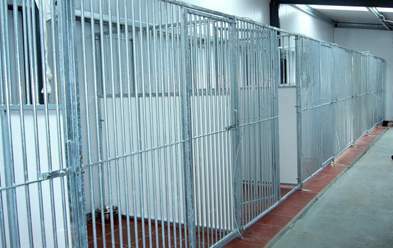 Large Kennel Run with internal Kennel Run. 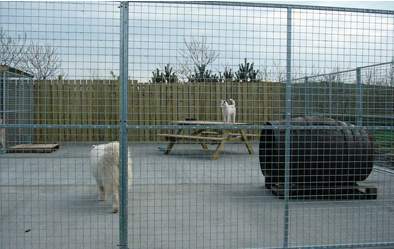 Superb area for huskys to exercise and play! 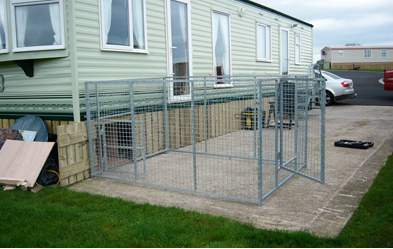 Here is a Kennel Run attached to a caravan! 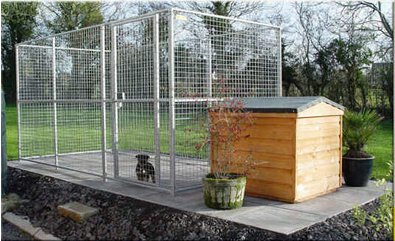 Multiple Kennel Runs attached to custom shed. Box section and weld mesh pen which has been one eigth sheeted and roofed. 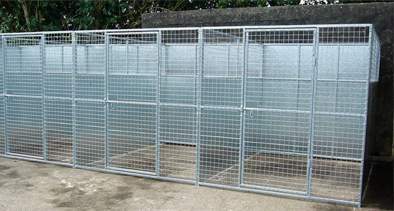 Box section and weld mesh. 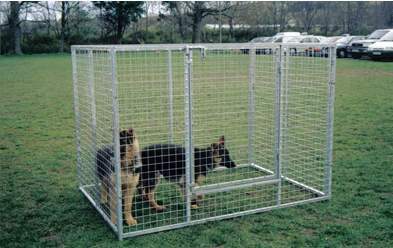 Complete with void for kennel, which maximises interior space. Fully Adaptable!! 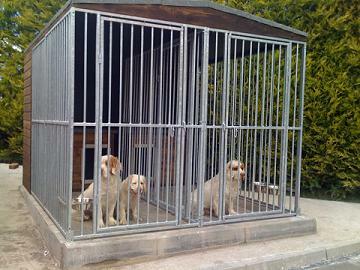 Here is a perfect example of how adaptable our Kennel Runs are! 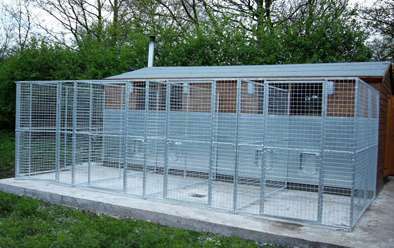 These multiple interior pens have been added to the interior of a custom shed. 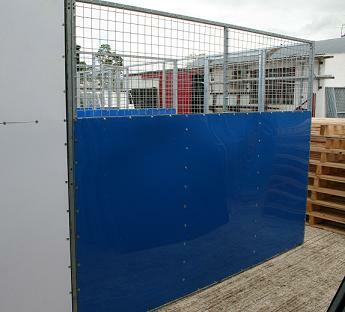 These multiple exterior pens have been sheeted at the back. 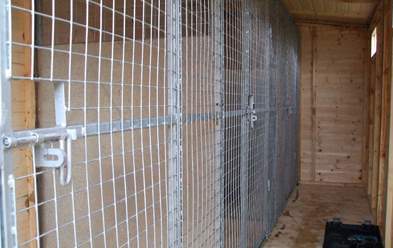 These multiple interior puppy pens have been partially sheeted. 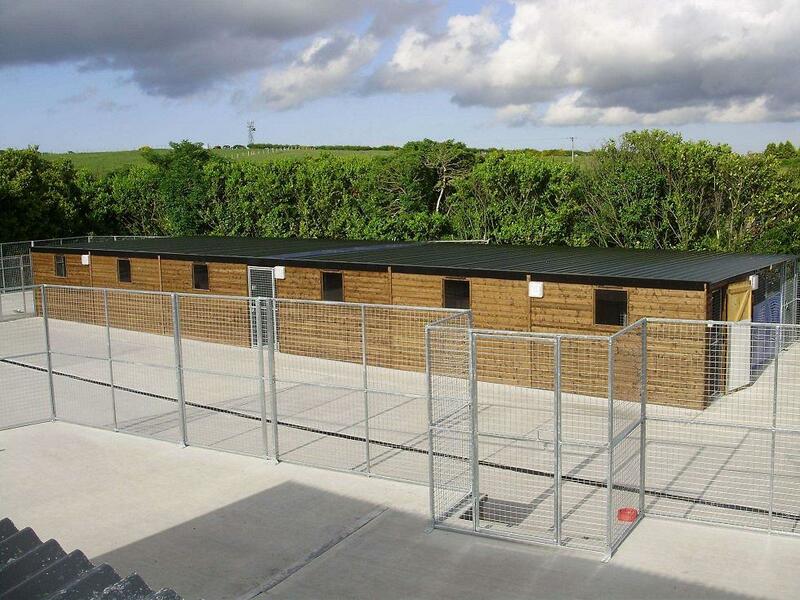 Large number of external pens added to an outbuilding. 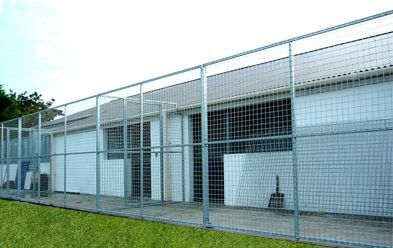 A large number of external runs attached to an outbuilding. 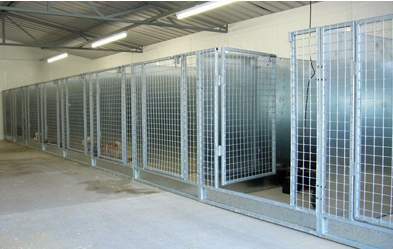 Large Kennel Run fitted with vertical bar panels. 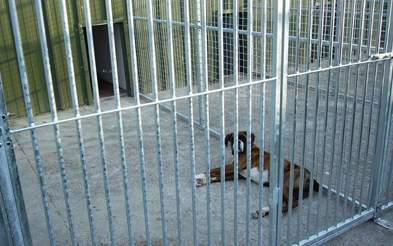 A happy dog within his bar panelled kennel run. 12ft. x 8ft. pen with void for attachment to shed. 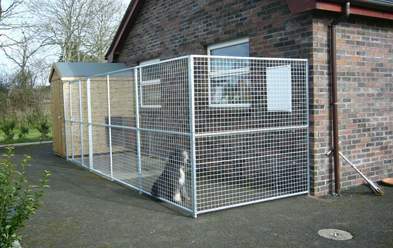 This kennel run was made with two voids for two kennels. 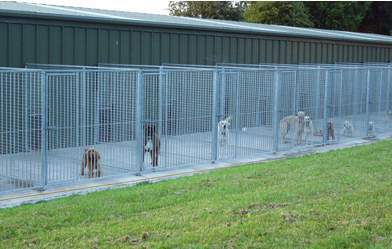 Attaching the kennels to the outside saves interior space. This pen was added to a custom base at the side of a house. 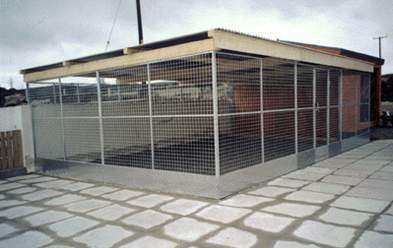 Multiple barred kennel runs added to the inside of a building. 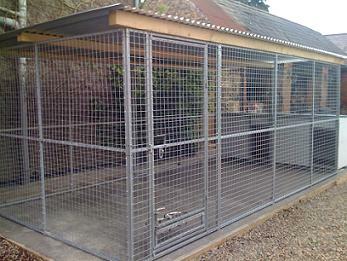 Our puppy pens can be tailor made to suit your puppy. They are very easily erected and just as easy to take down! 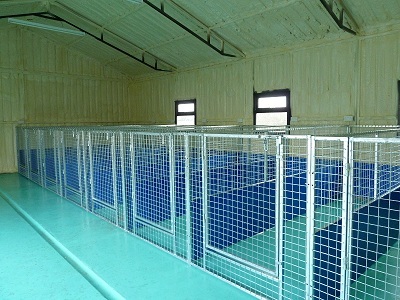 A side view of multiple kennel runs. 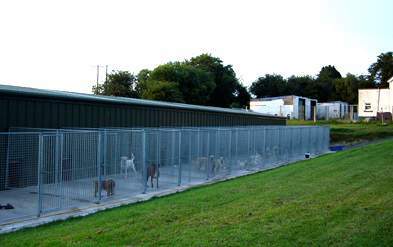 This double run with twin kennels has been solid roofed. 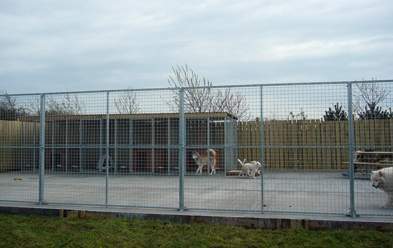 This barred Double kennel run has a solid roof and twin kennels. 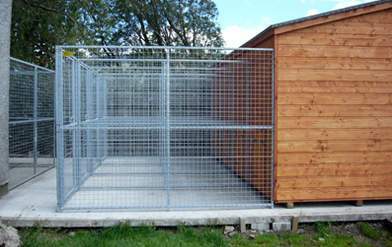 This double pen has been solid roofed and is attached to a PVC lined shed. 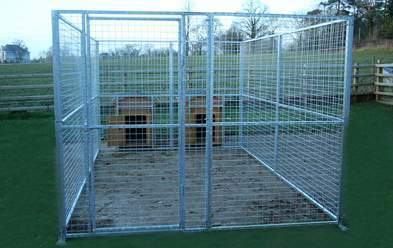 Our latest Interior Runs specially made for Miss Eve Smail's Kennels Toybox Pomeranians. 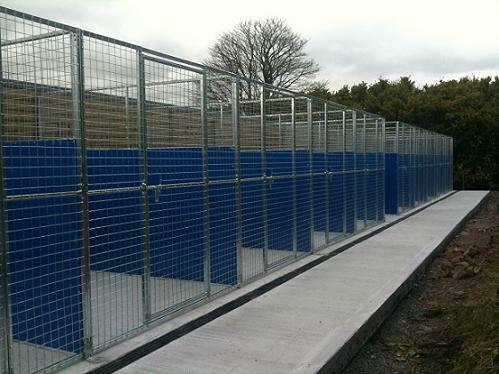 Our lastest 10 block boarding kennel, sheeted with blue PVC and solid roofed with non-drip cladding. 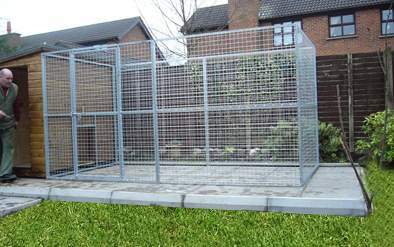 Large Outdoor Exercise Area. 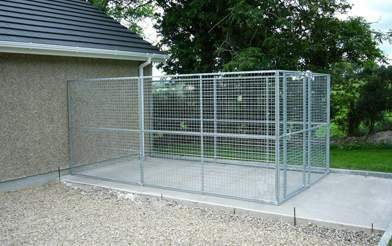 Built for "Wag-e Tails" in Carryduff. Wag-e-tails exterior exercise runs. 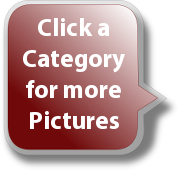 We also supplied the building and roofing!